I can’t tell whether time slows down during these snow covered days before Christmas or whether it speeds up as we race to the finish line – preparing for family gatherings and last minute shopping. But whether you are relaxing by the fireplace or braving the shopping skirmishes, this is a time to celebrate our religious traditions and appreciate the generosity of our friends and neighbors. And for this season of peace and understanding, I would like to share a favorite quote of mine from Eleanor Roosevelt. The Center and Meals-on-Wheels will be closed the last two Fridays of the year: Christmas and New Year’s Eve. And many of the Center’s classes will be cancelled during the week between Christmas and New Years, so you may want to call if you aren’t sure whether your class is scheduled or not. As you may have heard, the organizers of the free Christmas Eve dinner are looking for more volunteers. The dinner is from 3:00 – 6:00 PM at the St. Mary’s gym. 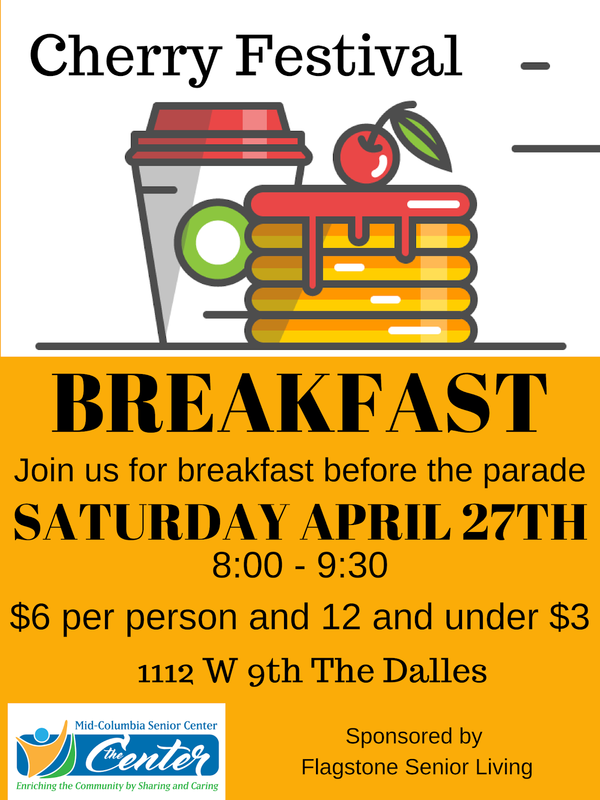 If you can help out or if you would like a home-delivered meal, call 541-296-3067. 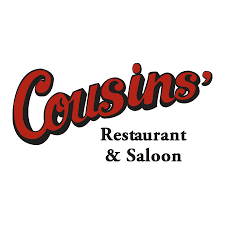 Tonight’s Tuesday Night Music will feature the country sounds of John Martin and Friends. And next Tuesday the Dufur Boys from Dufur will be playing all your favorites starting at 7:00 PM. Everyone is welcome and donations are appreciated. And on the Sunday in-between, music from the Pie and Jam Social will be echoing off the Center’s rafters from 2:00 – 5:00 PM. 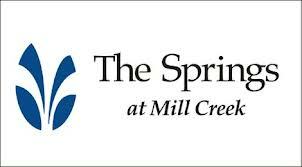 Thanks again to Mill Creek Point for sponsoring the December Saturday Breakfast. Even though the weather wasn’t the most agreeable, there was a nice turn out of over 65 hardy souls. Mill Creek Point provided nice holiday gifts; carolers to get folks into the holiday spirit and Santa whose lap every woman wanted to sit on – it must be that red uniform and beard! With the help of all the volunteers and Boy Scout Troop #395, everyone enjoyed a delicious breakfast on a snowy Saturday before Christmas. I have to admit an error in my ways. I don’t want to give the impression I am smarter than I look. (My wife can certainly correct any misperceptions if you ask her. But please don’t ask.) Some of the quotes I use are anonymous - part of the public domain, but one I shared last week about “Some people try to turn back their odometers …” was not a quote of mine, but is attributed to Will Rogers. As Will Rogers once said, “It isn't what we don't know that gives us trouble, it's what we know that ain't so”. Even though we had only a few entries for last week’s “Remember When” question, I hope it brought back memories of Christmas’s past. And the winner was Sandy Goforth who remembered the special bicycle her father bought her for Christmas. But how about one last Christmas question from the file cabinets of America’s popular Christmas traditions. In 1957 Ted Geisel wrote a children’s story about a green cat-like creature that detested Christmas and stole the neighbors’ gifts and decorations - which in 1966 was made into an animated TV special. What is the name of this green creature that has become synonymous with a “greedy and un-sympathetic” attitude? E-mail your answer to mcseniorcenter@gmail.com, call 541-296-4788 or write it on the back of a letter postmarked from “Whoville”. Well that’s another day - spinning my tires on the icy road of life. Until we meet again, let the sleigh bells ring; the treetops glisten; and your heart be light - as we wish each and every one of you a very Merry Christmas.